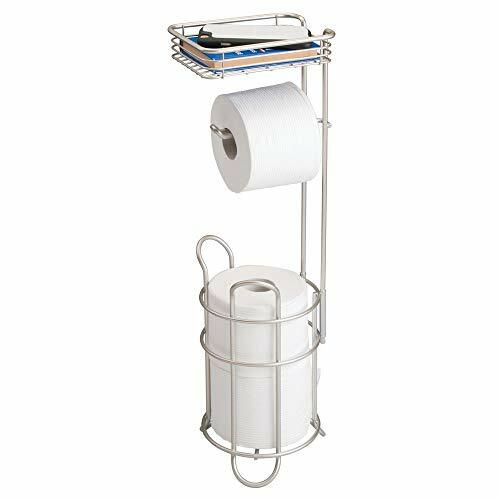 Better Homes and Garden Satin Nickel Standing Toilet Paper HolderCategory: Freestanding Toilet Roll HoldersBring a touch of elegance and functionality to your bathroom with the Better Homes and Garden Standing Toilet Paper Holder. 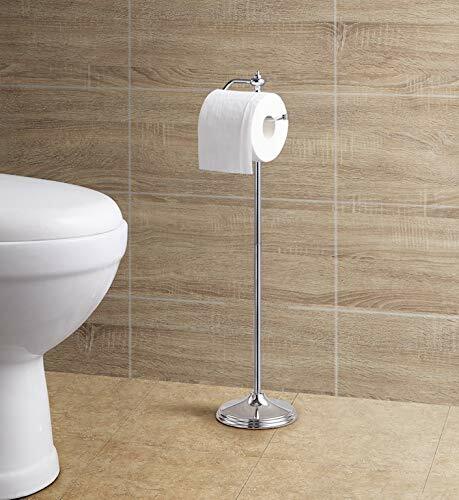 This Floor Standing Toilet Paper Holder makes a great addition to a home or office bathroom. The weighted base gives it extra stability. The Satin Nickel finish coordinates seamlessly with most bathroom decor schemes. Better Homes and Garden Oil Rubbed Bronze Standing Toilet Paper HolderCategory: Freestanding Toilet Roll HoldersBring a touch of elegance and functionality to your bathroom with the Better Homes and Garden Standing Toilet Paper Holder. 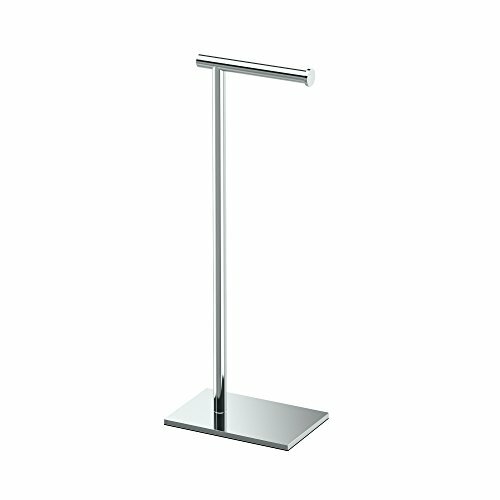 This Floor Standing Toilet Paper Holder makes a great addition to a home or office bathroom. The weighted base gives it extra stability. The Oil Rubbed Bronze finish coordinates seamlessly with most bathroom decor schemes. Splash Home Prime Free Standing Toilet Paper Holder Storage For Bathroom - SATINCategory: Freestanding Toilet Roll HoldersAdd a touch of style to your home with this Free Standing Toilet Paper Holder. It offers an ideal way to keep extra rolls neatly stored in small spaces, This Tank is a long lasting and durable and is sure to add a stylish element to your bathroom. 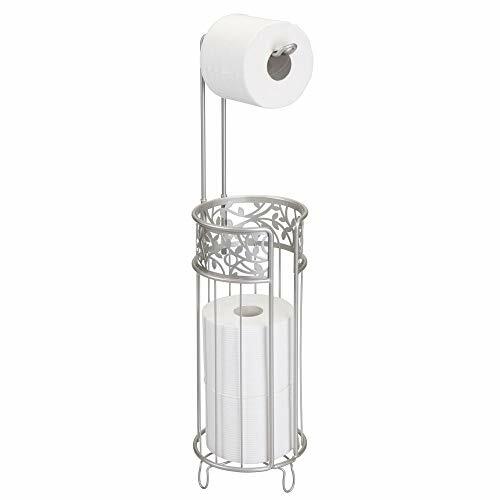 Splash Home Bijou Free Standing Toilet Paper Holder Storage For Bathroom - CHROMECategory: Freestanding Toilet Roll HoldersAdd a touch of style to your home with this Free Standing Toilet Paper Holder. It offers an ideal way to keep extra rolls neatly stored in small spaces, This Tank is a long lasting and durable and is sure to add a stylish element to your bathroom. 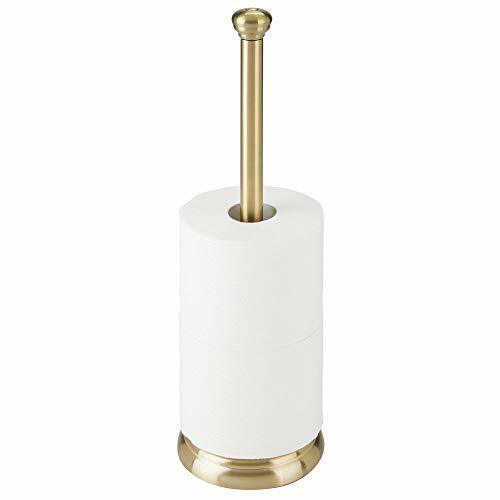 InterDesign Kent Bathware, Free Standing Toilet Paper Roll Holder for Bathroom Storage, BronzeCategory: Freestanding Toilet Roll HoldersThe InterDesign Kent Toilet Paper Holder Canister offers you a stylish upgrade to your bathroom that is very helpful. It will hold your extra toilet paper rolls, while keeping them concealed with a fantastic modern look. The Interdesign toilet paper holder offers a compact footprint. With a durable, plastic construction, this holder will last for a long time. 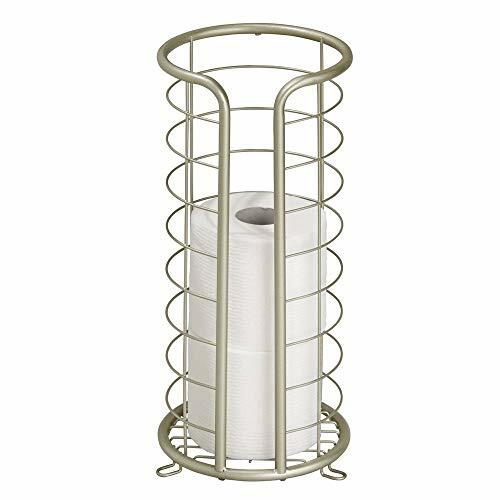 Gatco Free Standing Toilet Paper HolderCategory: Freestanding Toilet Roll HoldersFeatures: -Free standing design adds elegance to your space. -Base material is premium metal and will provide long lasting durability. Mount Type: -Freestanding. Roll Capacity: -1. Primary Material: -Metal. Dimensions: Overall Height - Top to Bottom: -23.68". Overall Width - Side to Side: -6.5". Overall Depth - Front to Back: -6.5". 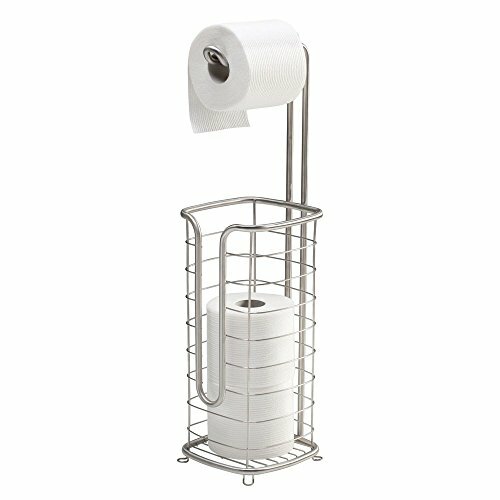 Home Basics Toilet Paper Holder with Lid BronCategory: Freestanding Toilet Roll HoldersThis Home Basics Toilet Paper Holder is handy for keeping all your tissue in one convenient place. It is constructed from heavy-weight, chrome-plated steel to prevent rust. This toilet paper holder with lid has a stylish swirl design to enhance your decor. InterDesign Twillo Free Standing Toilet Paper Roll Holder for Bathroom Storage, MetallicoCategory: Freestanding Toilet Roll HoldersThe metallico woven design of the Twillo collection makes it unique and stylish. This toilet tissue reserve stylishly stores up to three rolls while dispensing one roll. The steel wire construction is sturdy and attractive. 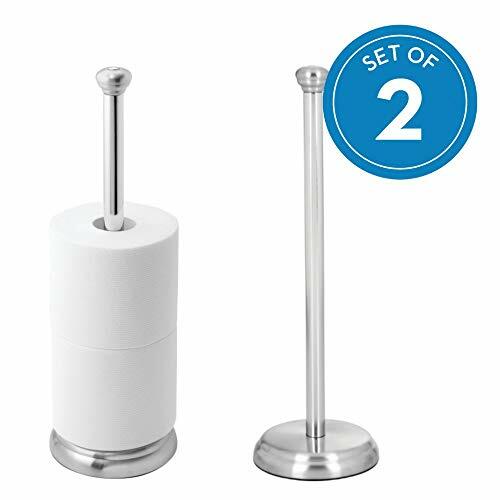 Home Basics Swirl Free Standing Toilet Paper Holder and Dispenser- ChromeCategory: Freestanding Toilet Roll HoldersSwirl Toilet Paper Holder and Dispenser- Chrome 22" x 6.4" x 6.2"
Better Living Products The Toilet Caddy Free Standing Toilet Paper HolderCategory: Freestanding Toilet Roll HoldersThis Toilet Valet is a versatile storage piece that has room for extra rolls of toilet paper, magazines and a hand towel. The heavy base adds stability, making this valet perfect for small or tight spaces.